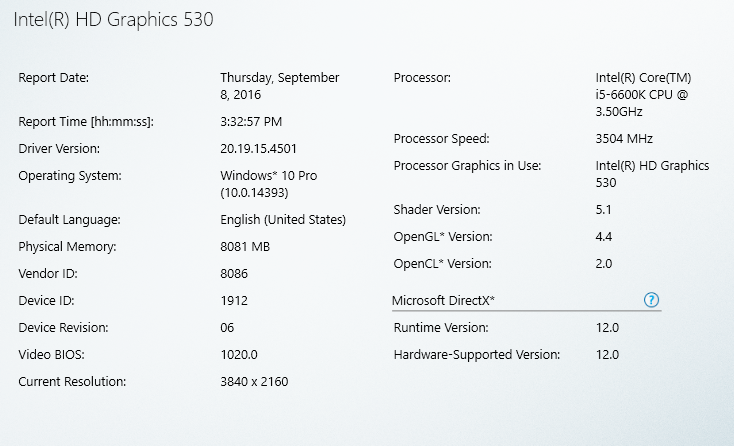 A new set of graphics driver is available for Intel 4th/5th/6th generation GPUs (Haswell, Broadwell and Skylake). This set is not very fresh (released on August 12, 2016) but is the latest available! You can download this driver from THIS PAGE. 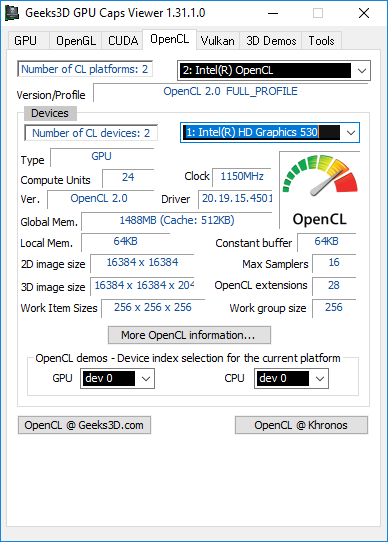 Intel v4501 is an OpenGL 4.4 and OpenCL 2.0 driver and exposes 226 OpenGL extensions (GL=205 and WGL=21) for a HD Graphics 530 GPU (Core i5 6600K). There is no Vulkan API support in v4501 ? 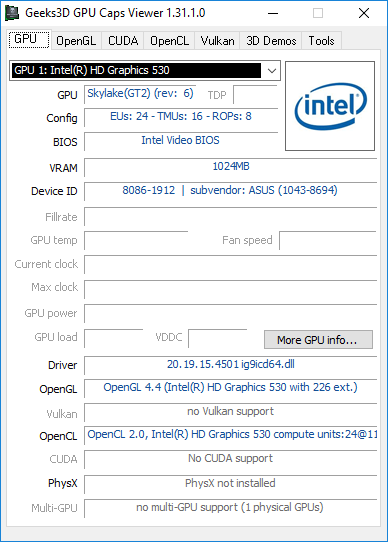 If you need a Vulkan driver, try the v4404.